Economics is one of the most commonly taught subjects across United States high schools. It is also fairly complicated, what with its numerous theories and theorists students must get to know. Because of this, students need capable educators to guide them through the subject as thoroughly as possible. As an economics educator in training, this will soon be your role to fulfill. Before you can start getting hands-on in the classroom, however, you must first prove you have all the right capabilities. In Georgia, the GACE (Georgia Assessments for the Certification of Educators) exam is issued to all incoming teachers to assess how prepared they are to teach professionally within their specific field. 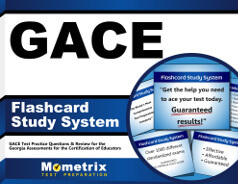 Economics teachers will have to take and pass the GACE Economics exam. Fundamental Economic Concepts (20 percent). You cannot earn your certification without taking and passing both of these subtests. At Mometrix Test Preparation, we care about your success. This is why we strive to develop comprehensive study tools—to help you prepare for any and every exam you may have to face to the best of your ability. 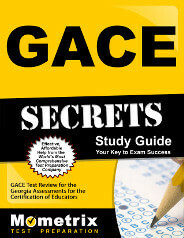 On this page, you’ll find our GACE Economics practice test. Designed with accuracy in mind, this practice test is ideal for those looking to familiarize themselves with how the actual exam will work. This study tool can give also you an idea of the best way you should prepare. Best of all, our practice test is 100 percent free for you to use whenever you need it. For best results, we recommend pairing it with our GACE Economics study guide. Good luck!